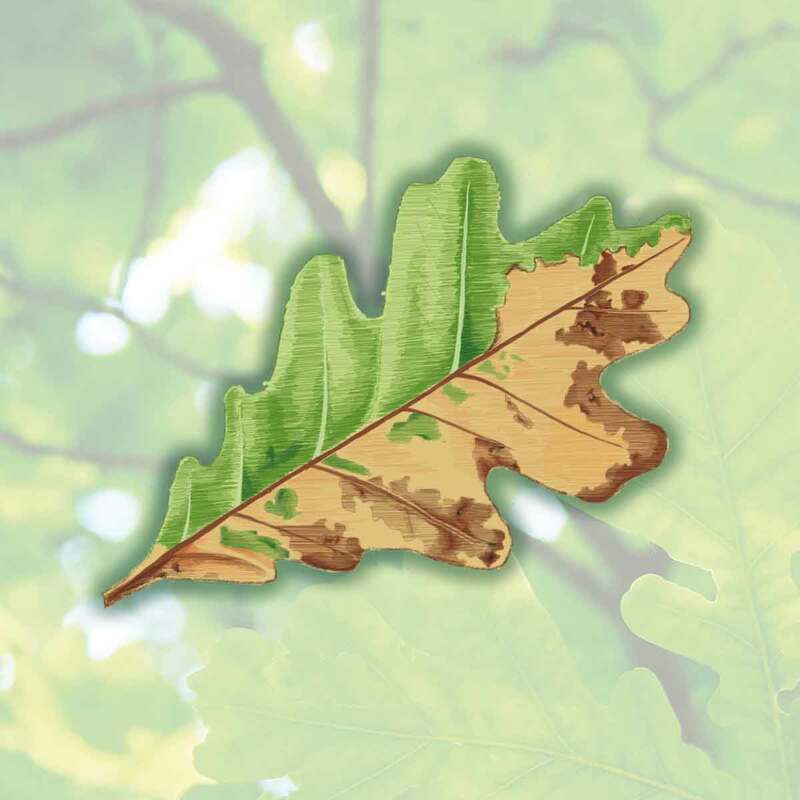 Acute Oak Decline (AOD) is a disease affecting several thousand native oak trees in Britain. It is considered to have first occurred in Britain 30-35 years ago. 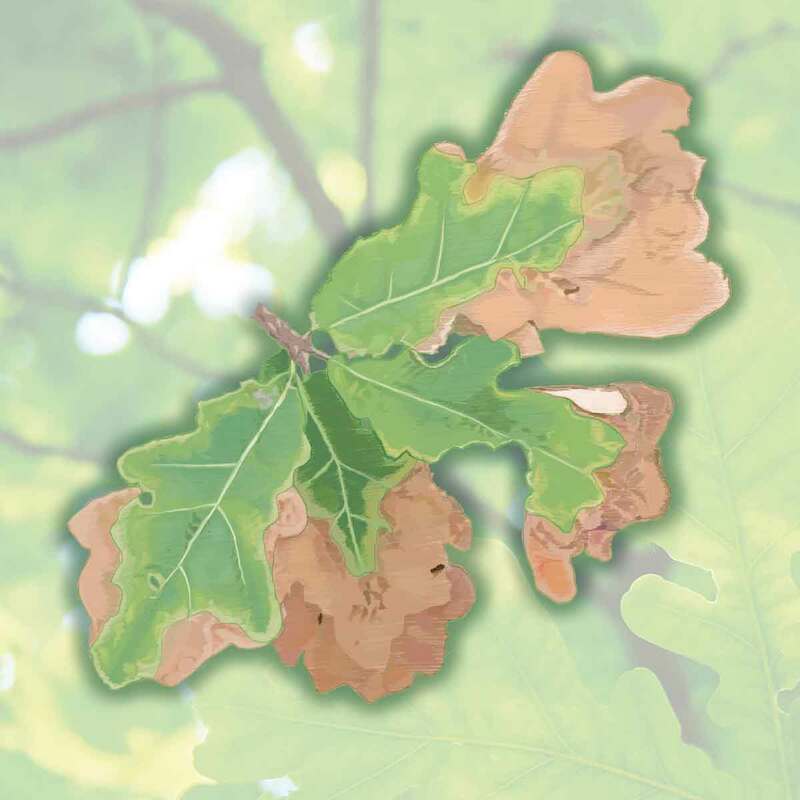 It mainly affects pedunculate oak (Quercus robur) and sessile oak (Quercus petrea), however other species of oak can also be affected. 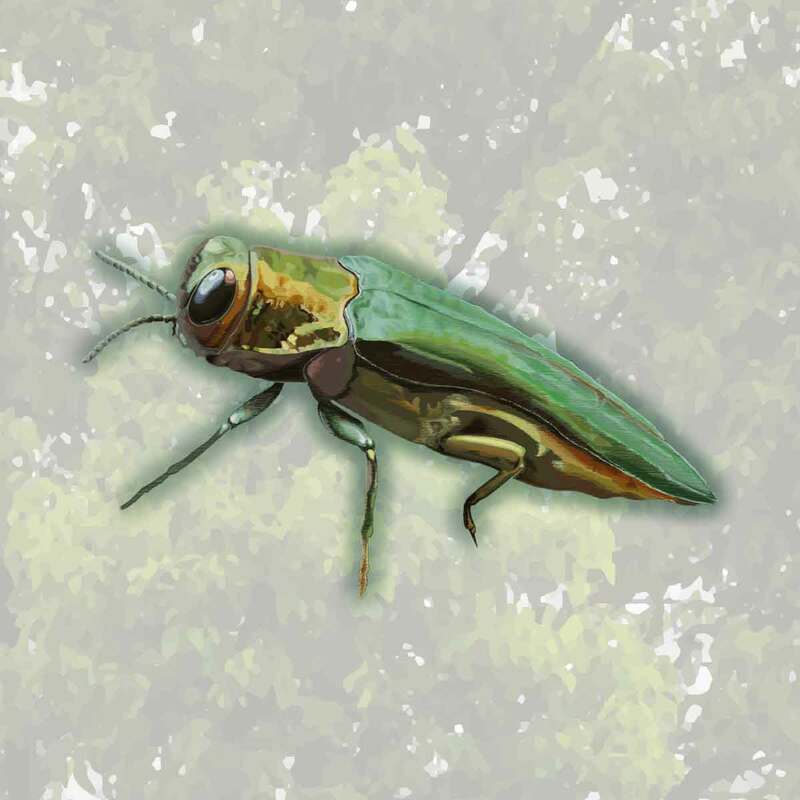 Emerald Ash Borer (Agrilus planipennis) (EAB) is an exotic beetle which causes significant damage to ash trees (Fraxinus species). A native of eastern Asia, it is not known to be present in the UK. 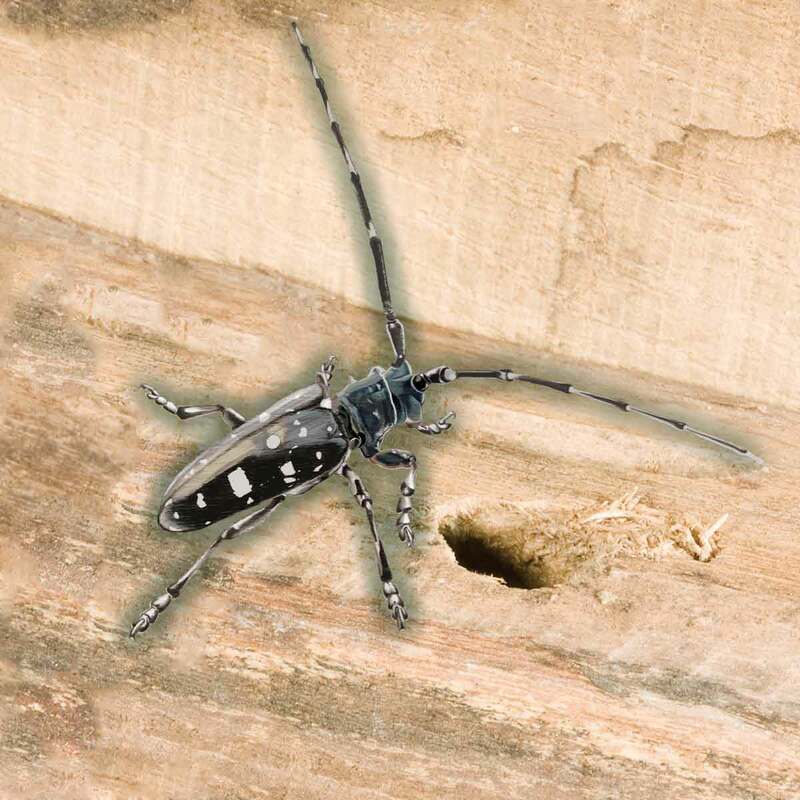 Asian Longhorn Beetle (ALB), Anoplophora glabripennis, is a native of China and the Korean peninsula, and poses a serious threat to a wide range of broadleaved trees. It has caused extensive damage to trees in the USA and Italy since being accidentally introduced there in recent years. The Elm Zig-Zag Sawfly, Aproceros leucopoda, has now been confirmed in Britain following a rapid expansion across Europe from eastern Asia. This page briefly describes the biology of the species, the risk it poses to elms in Britain, and its identification. To report a sighting of this species, please use Tree Alert. Ceratocystis fagacearum (C. fagacearum) is a destructive fungus which causes wilt in oak trees in eastern and mid-western states of the United States. It causes extensive damage, particularly to species in the ‘red’ oak group (Quercus section Lobatae; syn. Erythrobalanus), but it can also damage ‘white’ oaks (Quercus section Quercus). 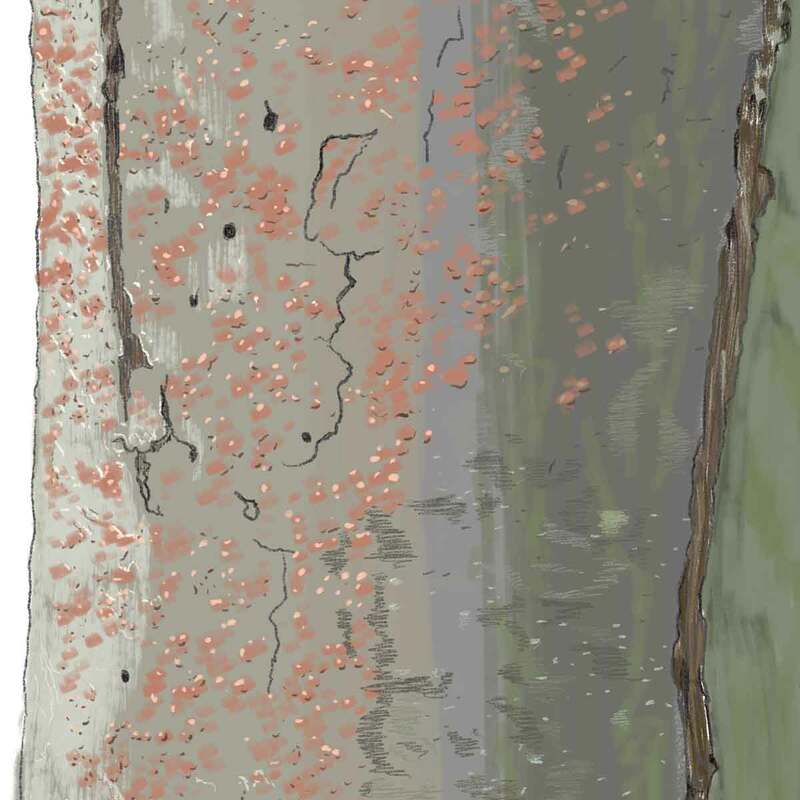 The ascomycete fungus Ceratocystis platani causes canker stain, also known as plane tree wilt, on several plane species, including London plane (Platanus x acerifolia) and its parents, P. orientalis and P. occidentalis. 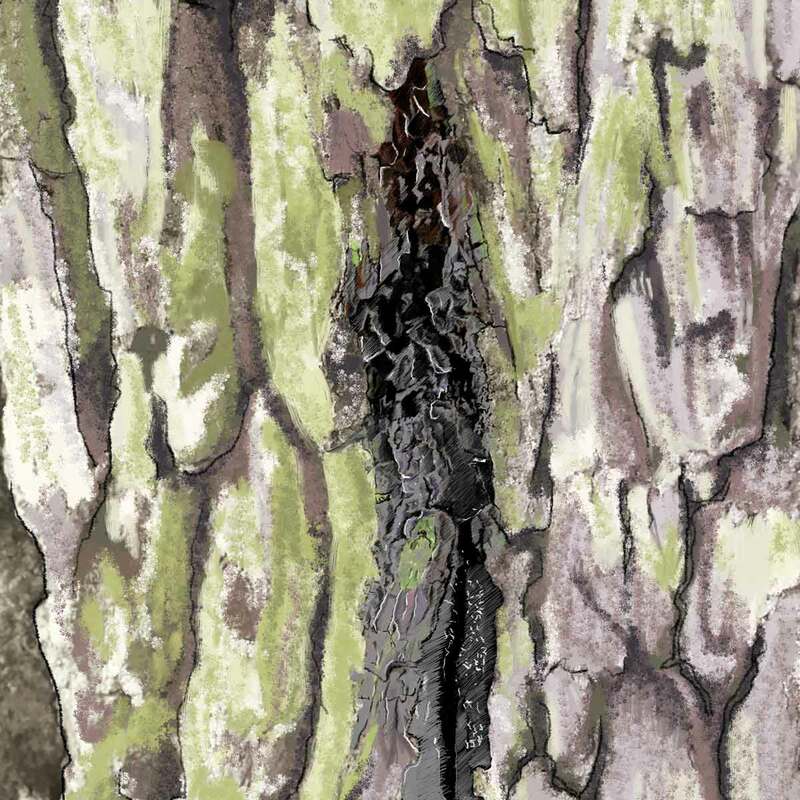 Sweet chestnut blight is caused by a fungus of Asian origin called Cryphonectria parasitica. Several cases of the disease affecting sweet chestnut trees have been found in England since 2011. 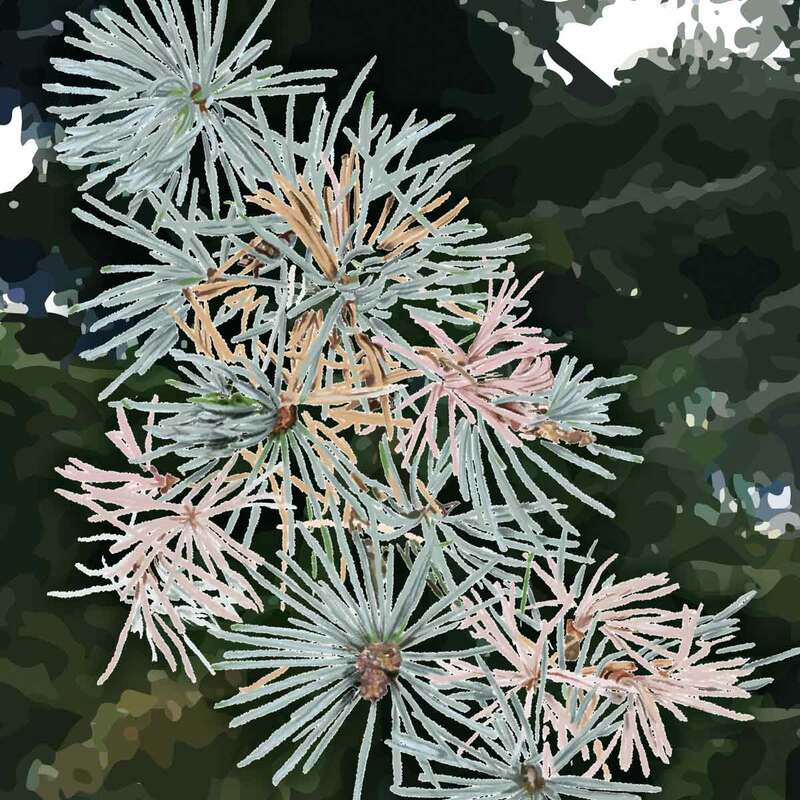 Dothistroma Needle Blight (DNB) (Dothistroma septosporum), also known as Red Band Needle Blight because of the colourful symptoms it shows on pine, is an economically important disease of conifers. 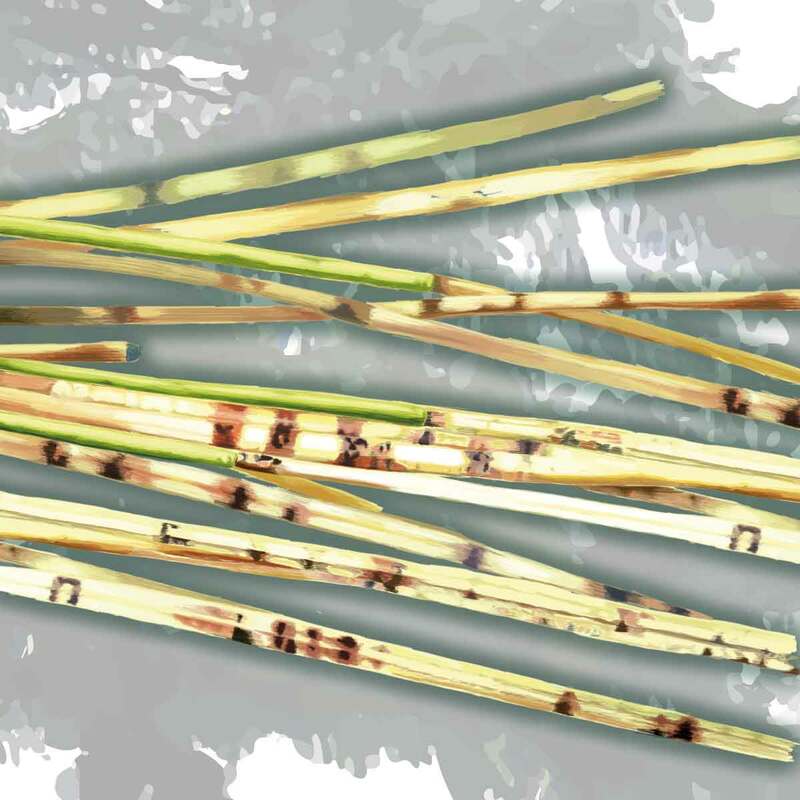 It causes premature needle defoliation, resulting in loss of yield and, in severe cases, tree death. Chalara dieback of ash is a disease of ash trees caused by a fungus called Hymenoscyphus fraxineus. It is particularly pathogenic to European ash, fraxinus excelsior. Phytophthora ramorum (P. ramorum) is a a fungus-like pathogen called a water mould. 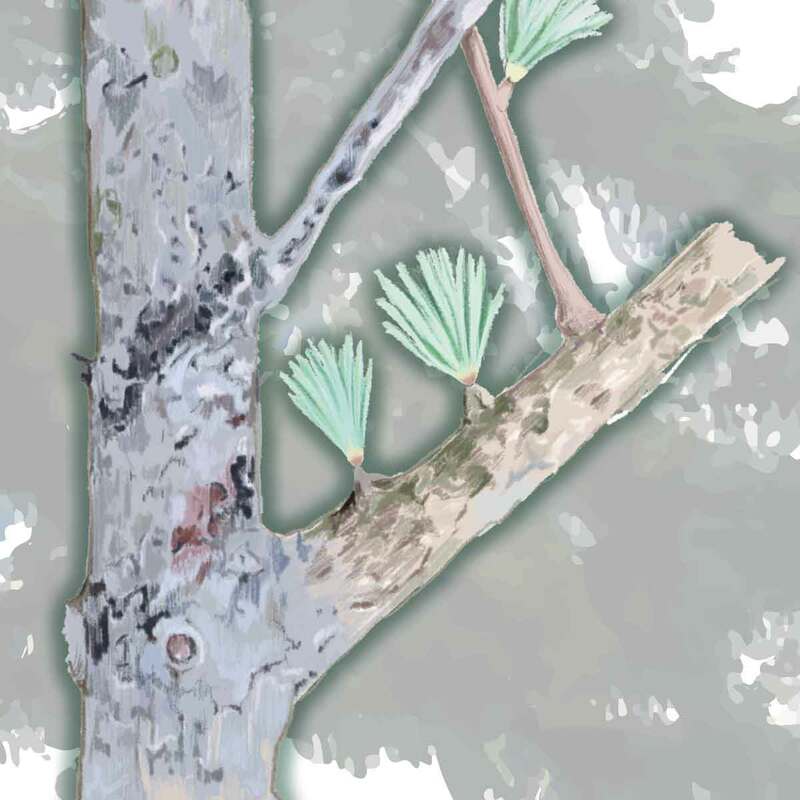 It causes extensive damage and death to a wide range of trees and other plants. 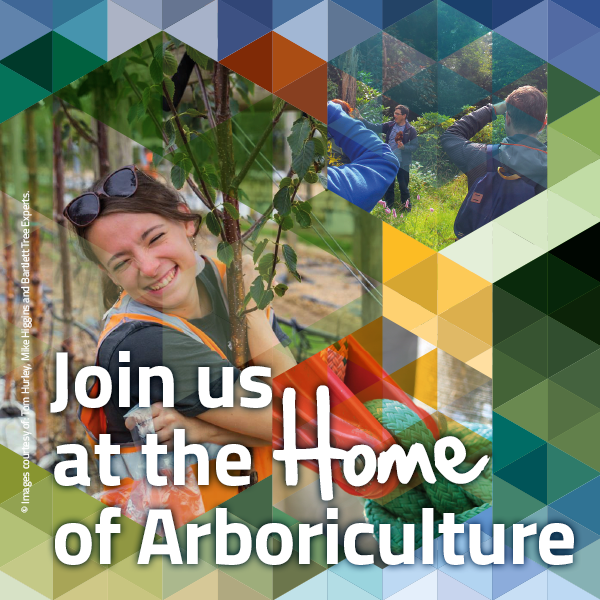 In recent years severe shoot blight and defoliation of Atlantic Cedar has been reported from a range of locations in Britain. 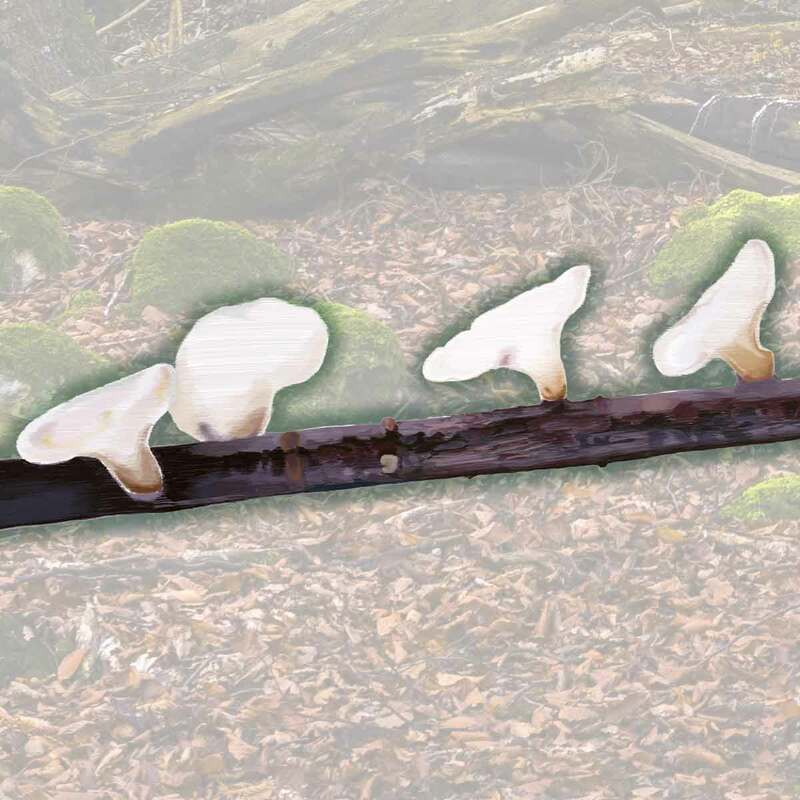 In late autumn 2013, samples from affected trees were received by Forest Research and the fungus Sirococcus tsugae was identified as being consistently associated with these symptoms. 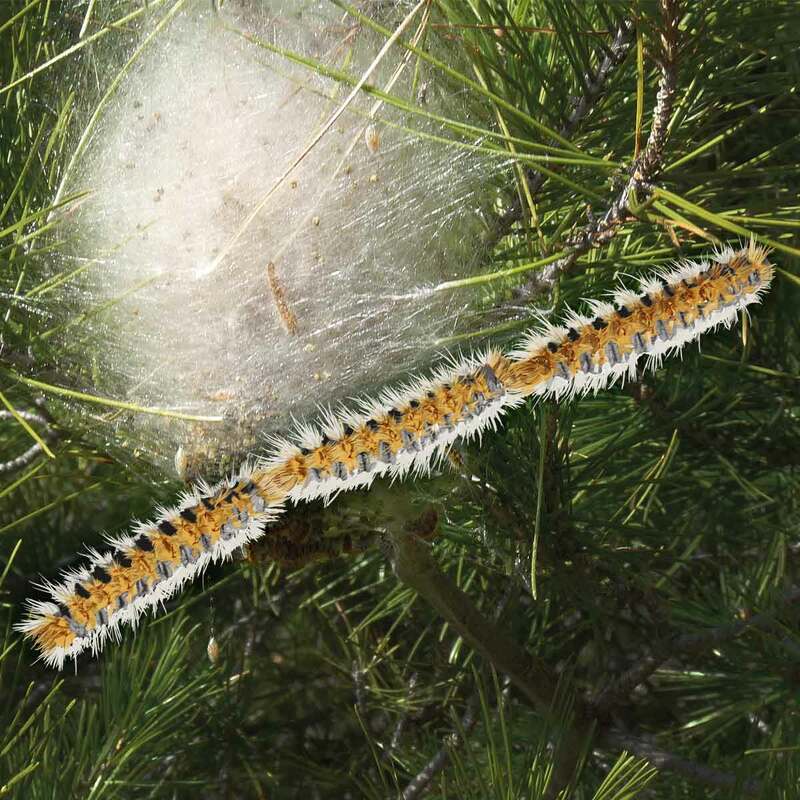 Pine Processionary Moth (PPM), Thaumetopoea pityocampa, is not currently known to be in the UK. PPM has been extending its range across Europe, moving northwards through France since the 1990s. 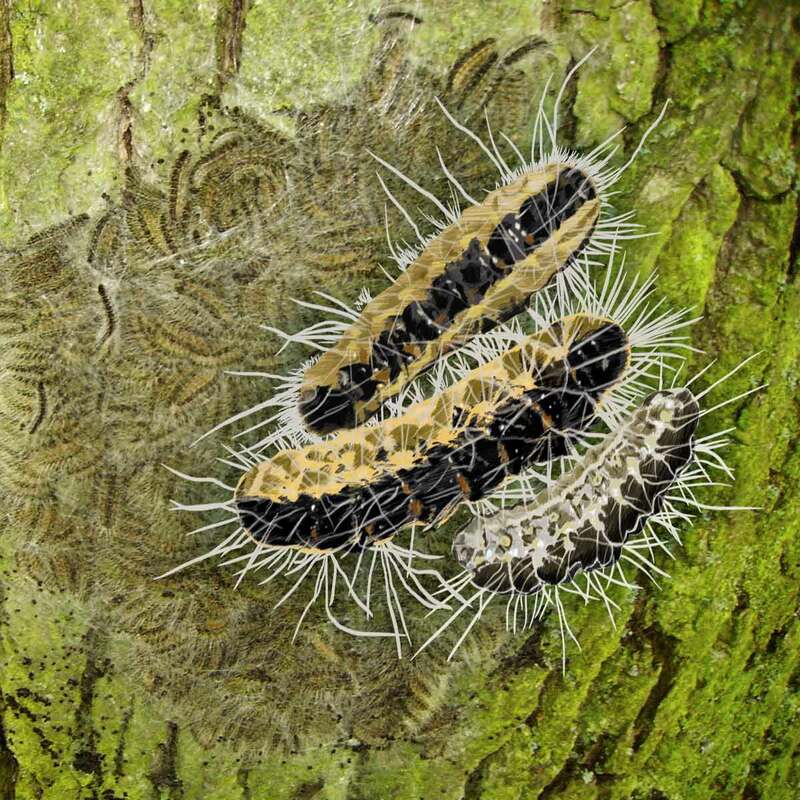 Oak processionary moth (Thaumetopoea processionea, OPM) was first accidentally introduced to parts of South East England in 2005. European Union legislation was introduced in 2014 that recognises unaffected areas of the UK as being a ‘protected zone’. 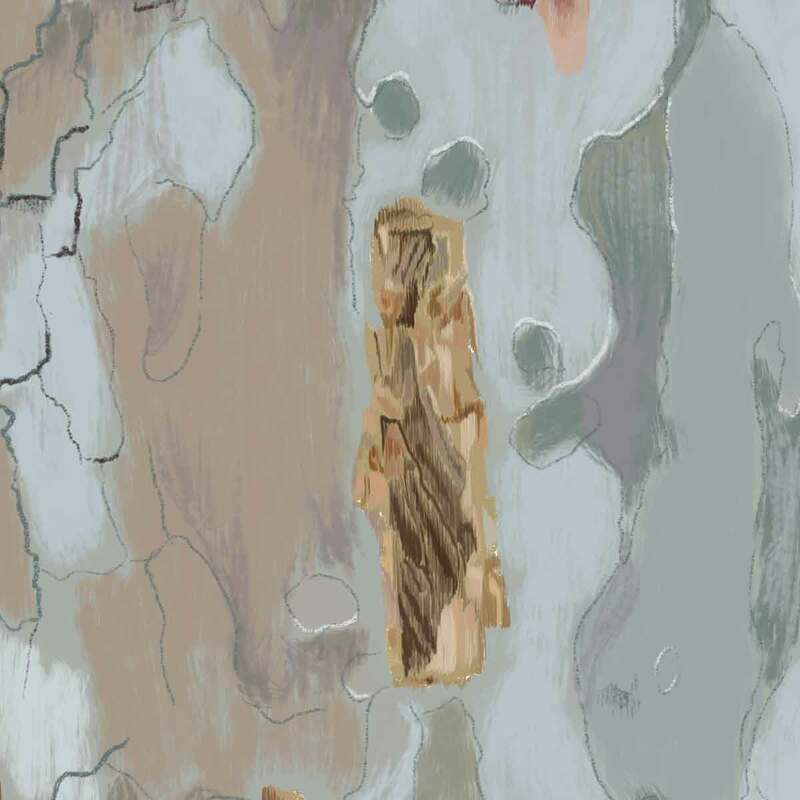 Xylella fastidiosa, also known by Pierce’s disease of grapevine, is a bacterium which causes disease in a wide range of woody plants, such as citrus and olive trees and in grape vines. 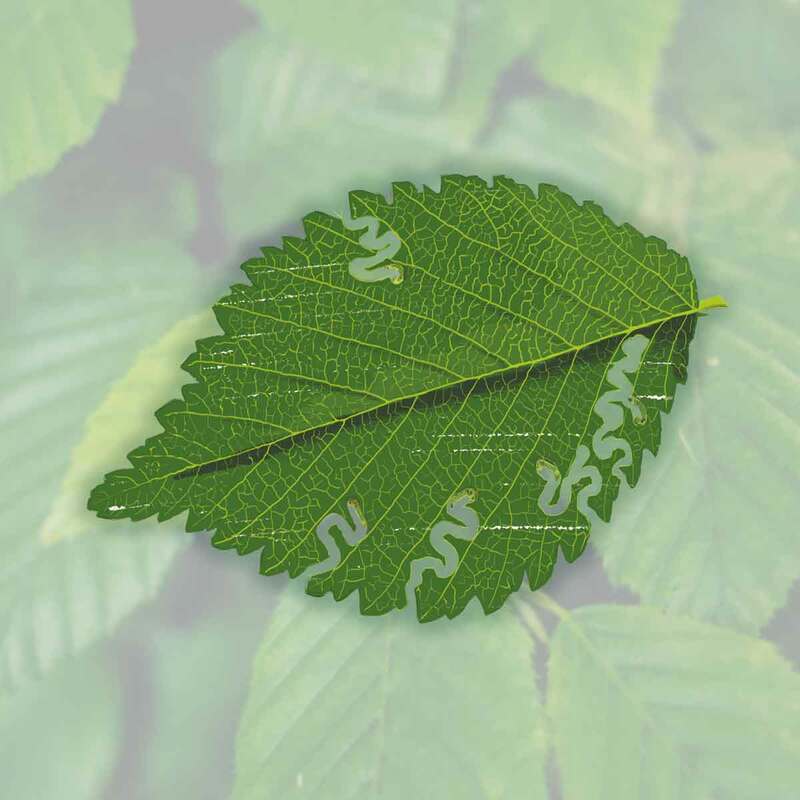 Whilst not known to be present in the UK yet, it has the potential to infect several species of broadleaf trees. The Forestry Commission has also produced the following information about pests and diseases and associated biosecurity. Click a link below to find out more. Information contained on this page are © copyright of the Forestry Commission and are used with their permission.